Wellness exams for your pet are similar to an annual physical for humans. And because pets age faster than people, semi-annual exams are ideal. It’s a good idea to have your pet looked at by a veterinarian twice yearly for routine health exams. Pets can’t tell you that they’re hurting or uncomfortable. You may have a hard time picking up small signs of problems that could lead to more significant issues. Here’s what to expect during a wellness exam for your pet. Much information about your pet is gained during the physical exam. We pay close attention to the way your pet reacts, how they move, whether their eyes, ears, and nose are clear, their weight and body size, how their abdomen and chest feel, and the condition of their skin and fur. We take your pet’s temperature and listen to their heart, lungs, and stomach for any issues. And like your dentist, we will evaluate your pet’s teeth and make recommendations for dental and oral care. We may want a stool sample to look at the consistency and color of the feces. A urine sample is also important to help screen for infection, diabetes and kidney function. With these samples, we can test for parasites and other potential problems. An annual check-up is important to establish a long-term medical history. This is particularly beneficial when you go to the same veterinarian time after time. The vet will know your pet and pick up on early warning signs. Which is especially useful as they get older. Vaccines, such as rabies, require boosters to remain effective. Vaccines needs will be assessed during the wellness exam. Since some pets, especially cats, get stressed out from car rides, this is a great way to consolidate visits. Together you and your vet will decide if a booster is needed for if vaccine titer blood testing is best. Titering is a way to determine your pet’s response to the vaccine and help decided if and when a booster is needed. Some vaccines in certain immune systems can last for several years before requiring boosters. If we think your pet needs extra testing, during the wellness visit is the perfect time to take care of this. You can streamline diagnostic processes by going to the vet each year. Health status blood screening can detect liver and kidney issues as well as diabetes, infection, and anemia. Routine radiographs help to screen your pet for cancer, arthritis and heart disease. These early disease detection screenings are the best way to help your pet live healthier, happier, and longer. Your pets needs change through each stage of their life. We can give you a wellness program that keeps your pets healthy, happy and strong as they get older. 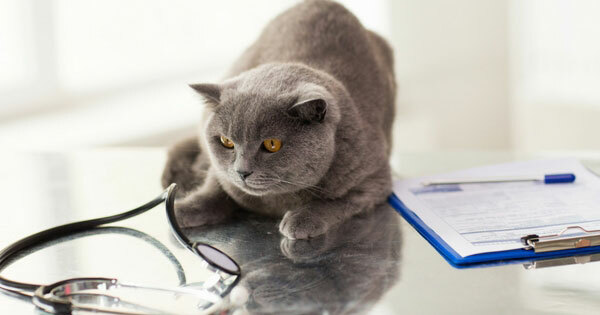 You wouldn’t skip out on your annual physical, so don’t skip out on your pet’s annual and semi-annual physicals! Schedule your pet wellness visit today.